Iztaccíhuatl is a 5,230 m dormant volcanic mountain in Mexico located on the border between the State of Mexico and Puebla. It is the nation's third highest, after Pico de Orizaba 5,636 m and Popocatépetl 5,426 m.
This mountain is surrounded by mystery and legends that goes back to the Aztecs and even to previous cultures. 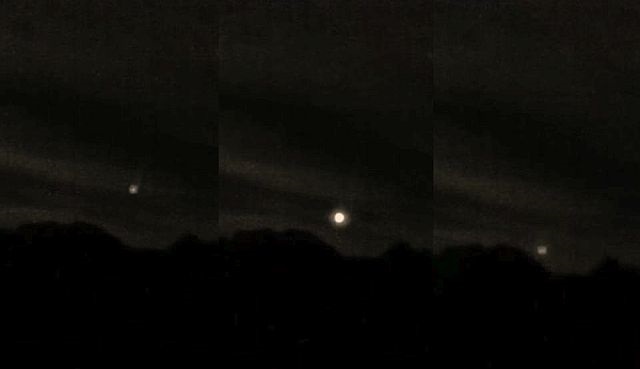 One of the mysteries: The unexplained lights that appear above the volcano. On April 4, 2017 a web camera recorded a huge Sphere which increases in brightness before it apparently descends into the crater of the volcano. We may wonder whether these returning lights have something to do with an Aztec legend. According to Aztec mythology, Iztaccíhuatl was a princess who fell in love with one of her father's warriors, Popocatépetl. The emperor sent Popocatépetl to war in Oaxaca, promising him Iztaccíhuatl as his wife when he returned (which Iztaccíhuatl's father presumed he would not). Iztaccíhuatl was falsely told Popocatépetl had died in battle, and believing the news, she died of grief. When Popocatépetl returned to find his love dead, he took her body to a spot outside Tenochtitlan and kneeled by her grave. The gods covered them with snow and changed them into mountains. Iztaccíhuatl's mountain is called "White Woman" (from the nahuatl iztac "white" and cihuatl "woman") because it resembles a woman lying on her back, and is often covered with snow. There were hikers stuck up there, that was a helicopter search light.